LaShonda Williamson-Jennings has called Oklahoma home for most of her life. After earning a bachelor’s from the University of Oklahoma and a master’s from Northwestern Oklahoma State University, she chose a career in prevention. She developed an early interest in politics, serving as a page while in high school. Since then, she has volunteered to campaign for local and state candidates. For the last 15-years, LaShonda has lived her passion, providing training and technical assistance to communities, states, and tribes to support in reducing the impact of substance abuse. In 2014 she was voted Oklahoma’s Preventionist of the Year. An avid community volunteer, she believes in doing her part to build a thriving, equitable community. Danielle Ezell is a recognized community leader, business executive and advocate who has been on the front line fighting to improve Oklahoma. 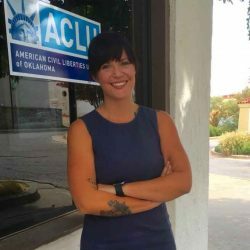 As executive director of the Oklahoma Women’s Coalition, Danielle played a critical role in passing laws that have helped thousands of Oklahomans. She fought to protect our vote on State Question 780, which will reduce the prison population and make Oklahoma communities safer. She has worked tirelessly with other community leaders to pass legislation that will help victims of domestic violence. And she has been an advocate for working families by fighting for equal pay and paid family leave legislation. Danielle joined the Mettise Group, a multi-disciplined consulting firm focused on helping Oklahoma organizations grow and thrive, in 2017. Clients include both for-profit and nonprofit organizations in a variety of industries. She is accredited in public relations and earned her Senior Professional in Human Resources certification in 2015. Originally from Buffalo, N.Y., she has a bachelor’s degree in public relations from Syracuse University and an MBA from Oklahoma City University. Jessica is the Oklahoma Center’s Program Director for Southern Oklahoma. 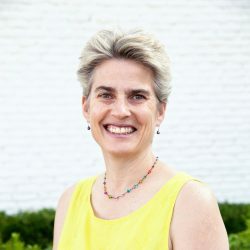 Prior to accepting this position, she served as the Executive Director of Ardmore Village, a nonprofit senior residential community in Ardmore, which is her home town. 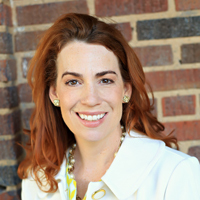 Jessica served as the Ardmore Village Executive Director for 12 years, leaving in 2014 to run for public office, the Oklahoma House of Representatives. Although her campaign was ultimately unsuccessful, she gained a lot from her race: many new friends and a deep understanding of the needs of Oklahomans. 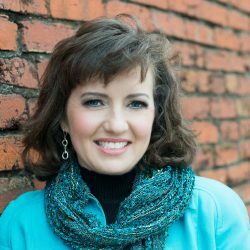 Jessica serves on numerous local and state-wide boards: Ardmore Chamber of Commerce; Adult Day Services of Southern Oklahoma; Sally’s List; and the Salvation Army of Southern Oklahoma. She is also a graduate of Leadership Oklahoma, Class XXVI, Leadership Ardmore, Class 13, and the Ardmore Rotary Club. Jessica and her husband, David, own the Shiloh Morning Inn, a bed & breakfast inn, located on 73 acres a few miles East of Ardmore, in Dickson, Oklahoma. They have an eight-year-old daughter, Teddy, who is in the second grade. Allyson Coffey is a life-long Oklahoman, who grew up in Shawnee. Allyson has a diverse background having taught elementary physical education for several years before transitioning to a career in sales, now as an owner/agent for Farmers Insurance. Allyson has been an active volunteer in the community for many years, serving in various roles for several nonprofits. In addition, she has been an active volunteer for numerous Democratic candidates. Allie Shinn has been with the ACLU since January of 2010. She first held the position of Govern­ment Affairs Intern, then served as part-time Litigation Coordinator be­ginning in November 2010. In 2011, Allie took on the role of Development Director and in 2016 accepted a position as the Director of Philanthropy and Strategic Initiatives. Allie holds a Bachelor of Arts in History and a Master of Science in International Studies, both from Oklahoma State Univer­sity. Her primary civil liberties in­terests are women’s rights, racial justice, and criminal justice reform. 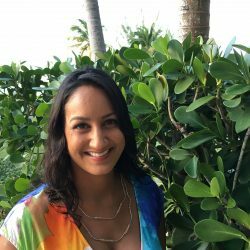 Reina Mohan is an experienced recruiter with a strong background in sales and is currently the chief executive officer of MCA Consulting, LLC, a company she founded in 2006. 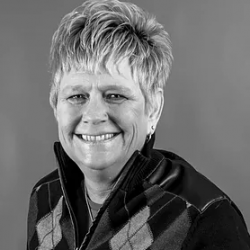 Jackie Johnson joins the board with over 25 years of experience in the healthcare industry both as a provider and administrator. She currently works for Planned Parenthood Federation of America conducting accreditation reviews of affiliates across the nation. Prior to working for the national office, she worked 19 years at Planned Parenthood of Central Oklahoma as a provider, director of patient services, board member, consultant, and lastly as CEO. Jackie has volunteered on several local and national campaigns and ballot initiatives over the past 30 years and is excited to encourage & empower women to run for office in Oklahoma! Kitti Asberry is a lifelong resident of Oklahoma. 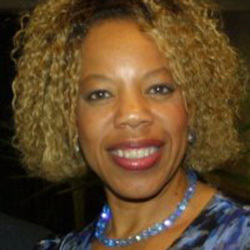 On May 19, 2007, she was the first African-American elected to serve as Vice Chair of the Oklahoma State Democratic Party. Prior to being elected Vice Chair, Kitti served for 5 consecutive years as the chief executive and inspirational leader for the Oklahoma County Democratic Party. While chairing the County party, she also served as the State Secretary for the Oklahoma Federation of Democratic Women’s Clubs. In 2012, Kitti was inducted into the Oklahoma Federation of Democratic Women’s Clubs Hall of Fame. 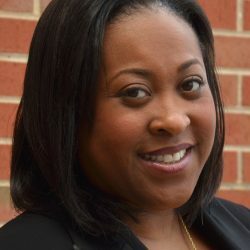 In 2019, she was named the Public Servant of the Year by the Women of Color Expo. 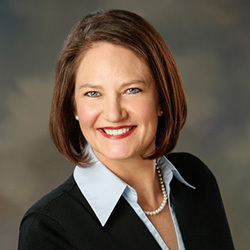 Currently, she is the Executive Director of the Oklahoma Commission on the Status of Women, and the Co-Chair of the Oklahoma, 2020 Women on Boards, National Campaign. She is a graduate of the University of Phoenix where she holds a Bachelor of Science in Business/Management and a Master of Business Administration / Human Resources Management. In addition, she is a 1986 graduate of the George Meany School of Political Science and Labor Studies, in Washington, D.C. Her personal philosophy and commitment to making a difference has earned her the respect of numerous political, civic, and community leaders and volunteers around our state. Sara Jane Rose arrived in Oklahoma in 2005 from California with her husband, Oklahoma native and attorney Jay Shanker, and two young daughters. A 1982 graduate of Brown University in Rhode Island, her California careers included directing episodic series for network and cable television, and five years teaching martial arts and self defense to adults and children as part of a leading national studio chain. She has a black belt in Shaolin Kempo Karate. In 2010, she founded Sally’s List, a non-profit organization that recruits and trains progressive women to run for public office in Oklahoma. She has been an active fundraiser for Westminster School, Planned Parenthood of Oklahoma, and Harding Charter Preparatory High School. A fourth generation Oklahoman, Alyssa’s family have lived here as ranchers and farmers since before statehood. 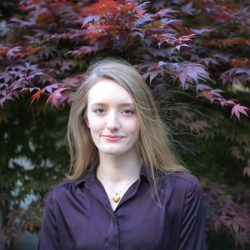 After graduating with a degree in Letters from the University of Oklahoma, she has dedicated herself to empowering and encouraging progressive women to run for elected office in her home state.